We are retiring, so Tuscan can be purchased with our breeding/show stock. See our package deal. 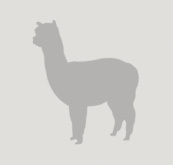 Semper Fi is a full Peruvian and 5/8 Accoyo male from a breeding that has repeated its excellence in every cria. The first two crias from this cross were females, then a male arrived in 2011 and Semper Fi is his name. Perfect in conformation and with great commanding presence, as all the Tuscan crias have, his fleece has density, fineness, and brightness to rival suri luster; not to mention uniformity and a buttery soft hand that makes you want to keep your hands in it forever. Semper Fi is the third cria from this dam/sire cross. He was named after the Marine's motto Semper Fi (Fidelis), meaning "always faithful", because of his faithful adherence to the genetic code in his DNA. Predictable excellence is observed in the offspring from the cross of Sunny Mesa's Tuscan Gold and Sunset Hills Zeph's Zsa Zsamora, daughter of multichampion Zephyrus (Roayl Fawn) and out of Iris, a Caligula daughter. Semper Fi's older full sister, Toscana, sold in the top 10% of prices at the AOBA auction several years ago. Semper Fi's other full sister, Zahara, sold sight unseen for a very respectable price based on her sister's reputation, her own show record and her genetic excellence. Semper Fi's show career started at the 2012 Futurity where he placed a very competitive 2nd place. Semper Fi earned his first championship at the 2012 ABR Fall Festival Fleece show, and he has earned 3 others in both halter and fleece shows. He is a superb example of his breed. Check out his 4-year old histogram to note the lasting fineness of the Tuscan Gold offspring. 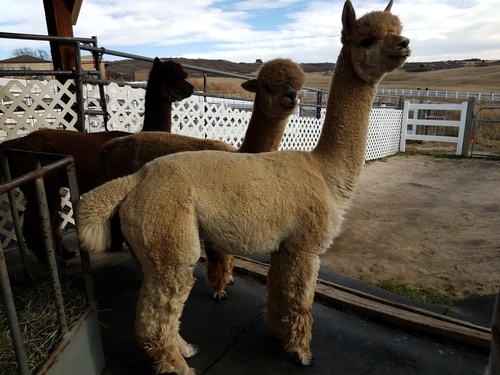 At 4 years old, his fleece is still below 20 micron and has a comfort factor of 98.8, meaning he only has 1.2% of fibers over 30. That translates to beautiful, buttery soft yarn and end product. Need that lasting fineness in your herd without sacrificing density? Semper Fi, with his Tuscan Gold lineage, is expected to deliver these excellent, predictable results. He is proudly co-owned with Aristocrat Alpacas.